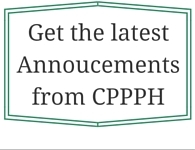 Policy Statements | California Public Protection & Physician Health, Inc. The Federation of State Medical Boards updated its policy related to physician health programs in April 2011. The import of this statement is that it comes from the organization that represents the 70 medical and osteopathic boards of the United States that are responsible for licensure and discipline. The FSMB mission is to lead by promoting excellence in medical practice, licensure, and regulation as the national resource and voice on behalf of state medical and osteopathic boards in their protection of the public.This 2011 document is intended to promote better collaboration among all stakeholders in addressing issues of physicians with potentially impairing illness. It provides guidance, based on best practices at this point in time, to state medical and osteopathic boards for including PHPs in their efforts to protect the public and effectively assist impaired licensees as well as those with potentially impairing illness. Public Policy Statements and Recommendations from the American Society of Addiction Medicine (ASAM) [11 different statements; click on titles below]In April 2011, ASAM published eleven policy statements, each of which provides a comprehensive discussion of one aspect related to physician health programs.